Martin Williams recently spoke to the members of our experiential learning group, Academy Group 23. Martin facilitated a dynamic and thought-provoking session on ” 7 Steps to increase the value & profitability of your business – a new way to look at marketing“. The session introduced members to many innovative techniques relating to marketing strategy that went far beyond the ‘run of the mill’ best practice. Martin delivered many pragmatic models and structured steps that members felt would be of tremendous use within their own environments. Building of a sustainable business model. Peter Sutcliffe is Joint Chairman with Karen Humble for The Academy for Chief Executives North East Chief Executive Forum (Academy Group 23). To find out more about this peer group learning forum for business leaders, visit www.chiefexecutive.com/ACE23. 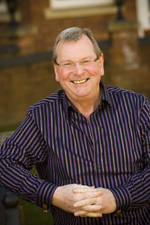 To find out more about Martin Williams, visit www.shirlawsonline.com/coach_profiles/36-martin-williams. Posted in: CEOs, leadership mentoring, Marketing.